We are proud to share a sneak preview of the second Kazerne restaurant, which opens in March. 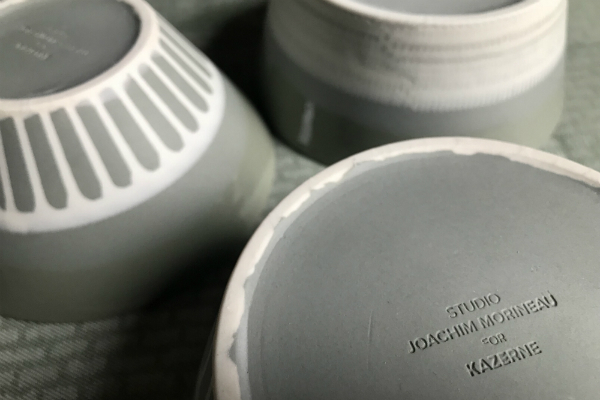 Last year we commissioned Design Academy graduated (and already internationally renowned) design duo Studio Joachim-Morineau to design dinnerware. Based on their innovative drip technique they created this beautiful series of bowls. In the coming weeks, we will reveal more information about the fine dining restaurant. What we can already reveal is that our talented Swedish chef guarantees a contemporary and exclusive culinary experience. Want to reserve a table in advance to be one of the first guests in March? Call +31 (0) 40 207 3730 or send an e-mail to reservations@kazerne.com and ask for the fine dining restaurant.